I woke up at 530am as I took the longest time for my acne creams and I wanted a quiet time in the toilet. Haha.. I am very self conscious with toilet sounds. With Family Mart is just a block away, I also wanted to grab a breakfast first while waiting my friends' turns to shower. Before going to the station, we dropped by to the famous Glico board and it was nice to take photo when the background was completely empty from other tourists. Hehe.. Usually this area is always full of tourists and impossible to get a photo without other people in the picture. 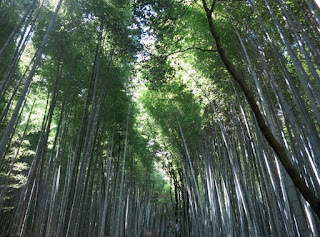 Our first destination was Arashiyama. Honestly I was quite disappointed as it was literally just a bamboo forest and somehow reality is not as nice as the photos of the place online :( The narrow pathway, the rather short distance, and the number of tourists are just bad combination to take a nice photo without strangers. 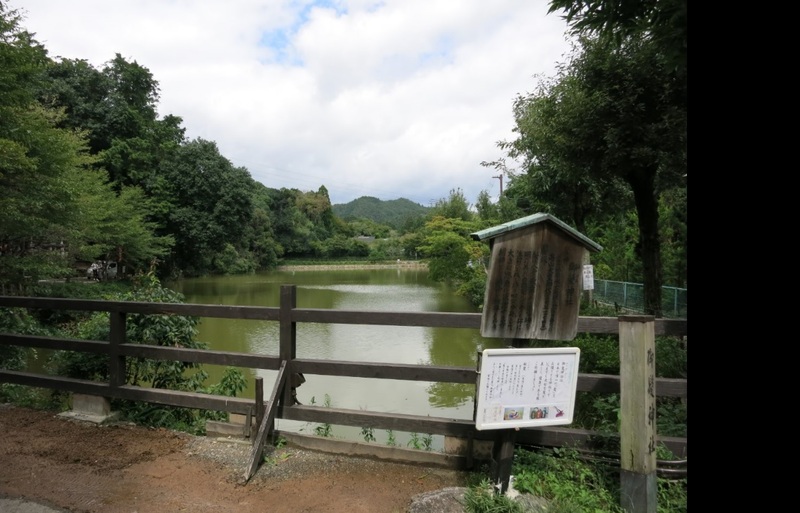 Haiz.. We walked until Torokko Arashiyama station but there was nothing much to see. It is the station for the scenic railway rather than for the transport back to the Arashiyama station where we came from. I tried the matcha ice cream there which was not matcha-ful enough for my taste. So we had to walk back through the bamboo forest again. There are actually other places of interests in the vicinity but with the interest of time, we did not really explore further to find the temples or the famous bridge and we made way for the next destination. We sort of over-estimated the size of Kyoto and we thought that we could only visit Arashiyama and Kinkakuji today. It was still about 2pm+ and the travel to Ginkaku-ji from Kinkaku-ji is just about 40 minutes by bus. 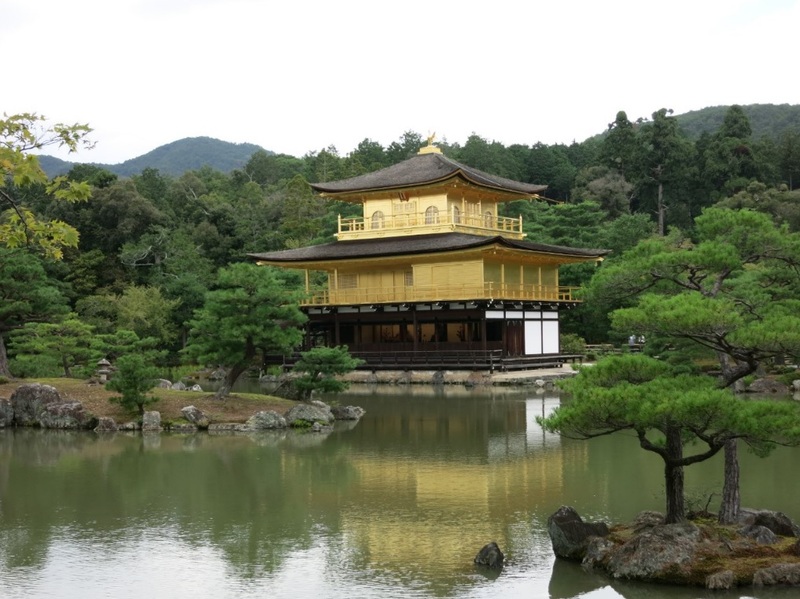 It was a blessing that the staff at the bus stop could speak English and I am glad that I asked her how to go to Ginkaku-ji. Otherwise we would be waiting at the wrong bus stop. 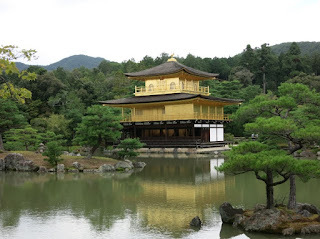 Ginkaku-ji or the Silver Pavillion is not painted in silver, unlike its name. Haha.. It is a zen place and I have agree about the zen-ness as the walk around the area managed to quieten my temper a little bit although I was still pissed that I could not really get nice photos without other tourists. By the way both Kinkaku-ji and Ginkaku-ji have very interesting entry tickets that look like ancient charms to ward of evil spirits. On the way back, I decided to get matcha chou which was damn good this time. I bought green tea drink from the same store expecting the same intense matcha taste but the drink was meh. It was too diluted. The bus stop was super crowded so I suggested to walk to nearest subway which was about 2 stops away. I guess I miscounted as we walked for about 30+ mins. Lol. Luckily the weather was not too scorching. It was surprisingly quiet for a Monday and the impression that I had is that Kyoto feels more like European cities. In the train station, we had our first disagreement at the train station. One friend has never been to Fushimi Inari and would like to hike all the way while the other friend had been there and did not want to hike all the way. Let's call A and B to make it easier. So B was suggesting that we go to Fushimi Inari but I did not want to wait 2 hours until evening for A to climb. We were ahead of our plan in Kyoto so I did not see any problem of following the old plan to go Fushimi Inari on the second day in Kyoto and to let A have better time to hike and take photos. After that, we missed the train stop because again people were trusting their google map more than their own brain to look at the stations. Well if you don't want to contribute, the best action to do is just to shut up like me instead of arguing and making the situation worse. We went to Aeon mall near Kyoto station and again there was nothing that I could buy. I did not mind waiting for my friends to shop as in total for the past 2 days, I managed to get 50000+ yen worth of purchase from them and that is free miles for my credit cards. Haha..
Dinner was another passive-aggressive conversation between both friends: 1 wanted buffet and 1 did not want but did not dare to outwardly say so and kept making sarcastic remarks. I honestly did not not want but I decided to give in this time and hence I was agreeable without saying anything. The buffet was quite shocking as it was only free flow of drinks, vegetables, and ice cream -_- The meat was only 6 pieces for each person. No wonder the Japanese can be so slim if their buffet is as only like that. On the way back home, JUMP! 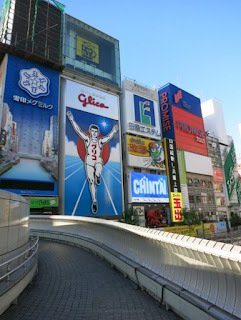 store was already closed :( but we still went to Yodobashi for a while although my legs really wanted to give away. And that's all for today which is a rather underwhelming day despite ticking the major touristy areas in Kyoto. None is as satisfying as Fushimi Inari.